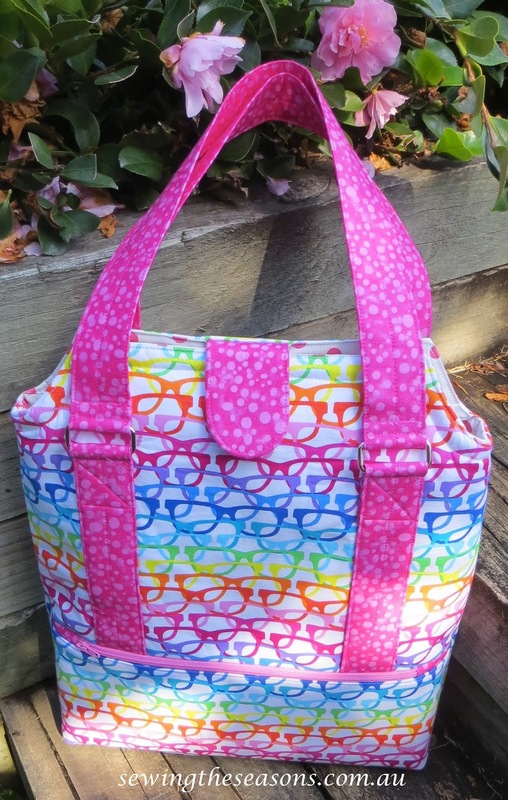 Introducing The Heavy Hauler Tote Bag. 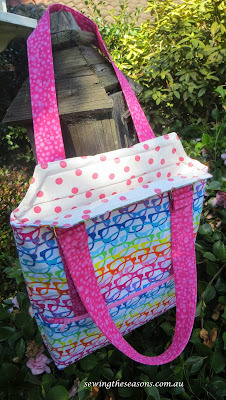 I have posted in the past about the Reusable Grocery Bag from Two Pretty Poppets so just knew that any pattern Lisa asked me to test would be well written and easy to follow. Looking for a bag to do heavy duty carrying? Library books, folders, or maybe bottles to a party? 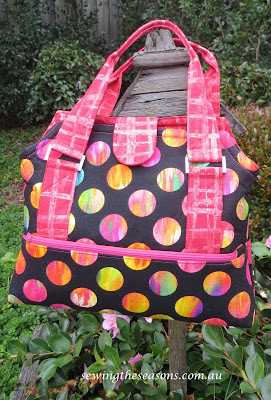 Then the Heavy Hauler Tote is the one you have been waiting for. For this pattern, we had been given time to order some of the hardware needed and I was intrigued to find out what the frames would be for. They give shape as your bag is opened. 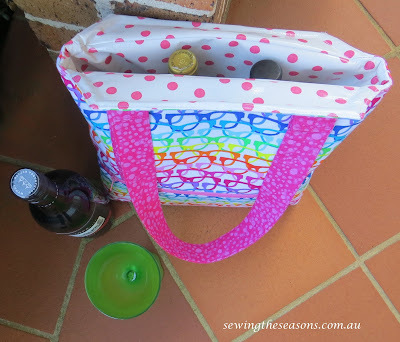 I lined the large size with oilcloth making it ideal for a bottle bag or picnic bag as you can then wipe out the inside of the bag after use. I was able to fit 3 bottles in the bag. 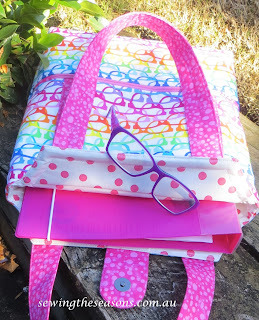 Lisa has also given the option of making a smaller version of the bag, ideal for carrying ipad mini, camera or other objects and bits and pieces. 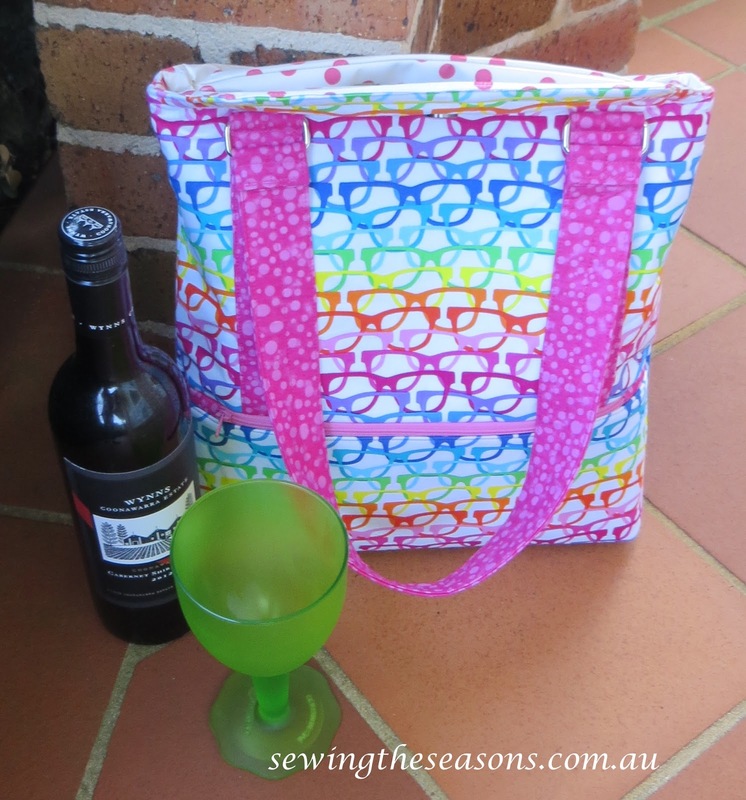 Fir this one I used cotton for the lining but if you used PUL or a laminated cotton or oil cloth you would have an ideal lunch carry bag. Really, there are so many possibilities for how you could use the Heavy Hauler Tote bag. The out pocket is optional but I feel an ideal addition for keys or your phone. 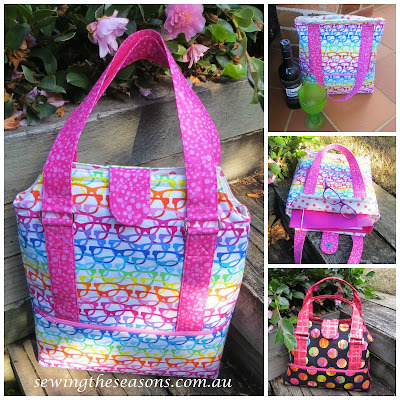 Don't you just love the shape of these carry handles on the small sized bag? Here is my mini packed ready for church - can you believe it fits my bible, notebook, wallet, glasses case, diary, phone, make up purse and still has room! The wire handles allow the bag to have a wide opening making it easy to get things like books, bibles or bulky items in and out easily - genius! 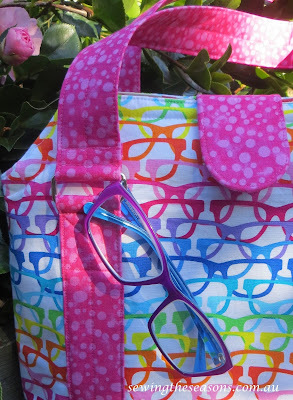 I had purchased the glasses and spot fabric a few months ago, not sure what they would be for but when I got this pattern, just knew they would be ideal to use for these bags. Sometimes the fabric comes before the pattern. Think I may need to make another small sized one using oilcloth or PUL to make a lunch bag.